Indeed, life has changed drastically for senior citizens in America during the past few decades. For centuries elder care was not much of an issue. The wealthy might have hired a personal staff to care for them, and the destitute might have died alone. But when the overwhelming majority of aging seniors were no longer able to care for themselves, they were cared for by their families. Then things began to change. More and more Americans left rural areas for cities and suburbs, often splitting up extended families. (According to US Census data, the majority of Americans lived in rural areas until about 1920.) Yet well into the mid-twentieth century, there were still enough homemakers and other relatives to care for the elderly as needed. In the second half of the twentieth century, several changes converged to make elder care a growing challenge. More and more wives went to work, and an increasing number of women didn’t marry at all. Understandably, the large scale entrance of women into the fulltime workforce has been greeted as a sign of tremendous progress; however, the lack of a fulltime homemaker also affects the options for grandparents who begin to need help and care. Another positive change with challenging consequences was the dramatic rise in life expectancy. Both economic prosperity and tremendous advancements in medical care have allowed many Americans to live to ages that were rare just a few decades earlier. In 1900, for example, the average life expectancy for Americans was just 46 for men and 48 for women. By the time Social Security was created in 1937, it had risen to 58 and 62; today it is 76 and 81. Caring for these older individuals often involves more complex and expensive medical care as well. The growing prosperity of the twentieth century also brought about cultural changes. More and more senior citizens wanted to live independently as long as possible; at the same time, an increasing number of Americans grew reluctant to care for their aging parents in their own homes. This led to an explosion in nursing homes and assisted living facilities which seemed to answer both problems: they gave the elderly professional care and their adult children peace of mind. Yet growing costs are putting quality nursing home care out of the reach of most Americans. According to a 2012 survey by MetLife 2012, the average private room in a nursing home cost more than $90,000 year, and a semi-private room topped $81,000. Home healthcare—where a healthcare professional visits and provides care in the elder’s home—especially when a senior is recovering from injury or surgery, is often less disruptive and more cost effective. Patients receive nursing care, physical therapy and/or speech pathology services from certified healthcare professionals. This enables many aging Americans to live in their own homes much longer than they would otherwise be able to. Yet relatively unnoticed in much of the controversy over the Affordable Care Act is its $22 billion dollar cut from Medicare’s home health care services. This will affect approximately 3.5 million of America’s lowest income seniors, and potentially put 40% of home health agencies out of business. (Home healthcare services are less than 3% of Medicare’s budget but received 10% of the ACA-related cuts.) The ACA’s intended benefits for older Americans—which raises premiums for younger adults to help lower the costs for the elderly—may not materialize since so few young people are signing up. So despite the rising costs of elder care, the United States remains one of the best countries in the world in which to grow old. Ironically, Asia—where Confucian values long caused the elderly to be revered and cherished—has experienced a shocking increase in elderly suicides over the past ten to fifteen years. Suicide rates of those over 65 have spiked in countries such as China, Hong Kong, Japan, Malaysia, South Korea, and Singapore. The rates remained relatively stable in Pakistan, Sri Lanka, Thailand, and Vietnam, suggesting that the increase is tied to economic development and the associated cultural changes. 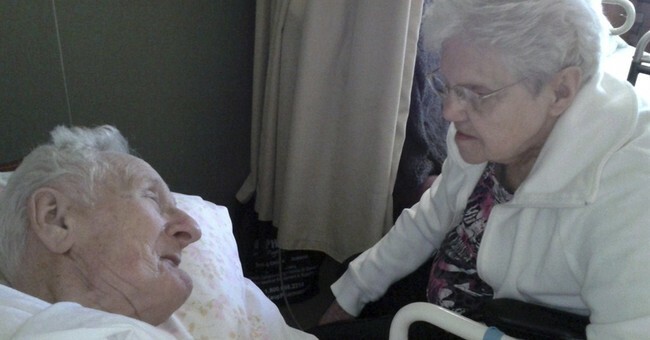 There are no easy answers to the rising costs of caring for our aging relatives. As the world continues to change rapidly, we must not forget those who have gone before us and made our progress possible. We must work together for flexible, creative solutions which support families and allow our loved ones to enjoy their golden years.